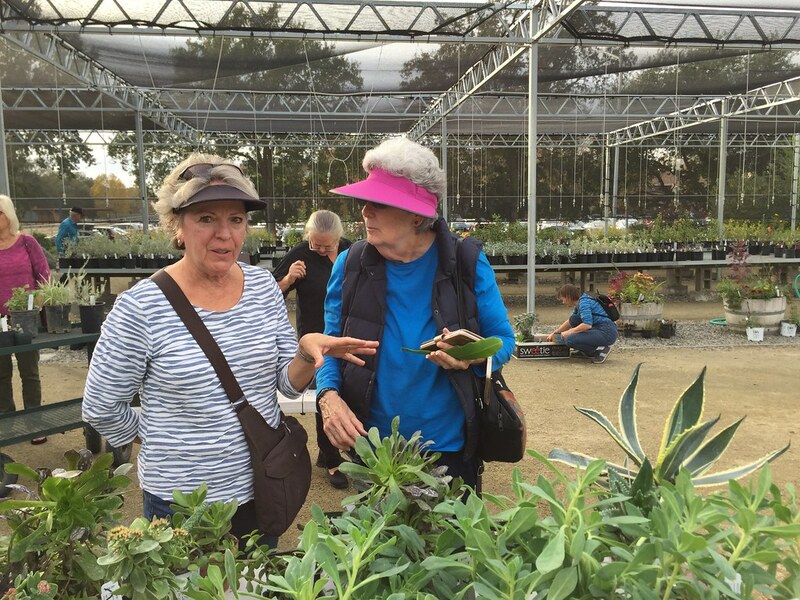 Hosted by the Friends of the UC Davis Arboretum and Public Garden, the plant swap brings plant-lovers together to cultivate community among Arboretum volunteers. Participants were encouraged to bring anything from seeds to cuttings, indoor to outdoor plants or a variety of gardening tools and supplies. 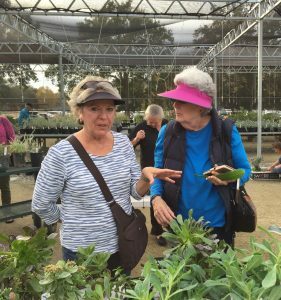 All items are arranged in a similar fashion to Arboretum plant sales for volunteers to browse, ask questions and exchange tips for various plants’ specialized care. Volunteers were able to bring home the equivalent of what they brought to share, but some folks bring more than enough, making for a bountiful selection. Thank you to Judy Hills, who brought a whole van full of plants! Some of the plant highlights of the swap included an assortment of Lithops, or “living stones,” a succulent shaped like a rock, and Acacias, a warm weather shrub that grew from a seed under one volunteer’s care. The Arboretum also donated leftover plants and materials from the plant sale clearance sections for volunteers to take home. “The plant swap is a great way to bring people together who love plants and build a greater connection among each other,” shared Stacey Parker, GATEways horticulturist. We hope to offer more plant swaps for our volunteers in the future. We will be recruiting for new volunteers in the new year so keep a look out on how to get involved!